From the perspective of this image, it is not really possible to see what this tree looks like. Eucalyptus trees tend to grow straight up . . . somehow, sometime, this one toppled over and continued to grow. “E+J” were here, rather than Kilroy. BTW, this is a pano of about 8 images. 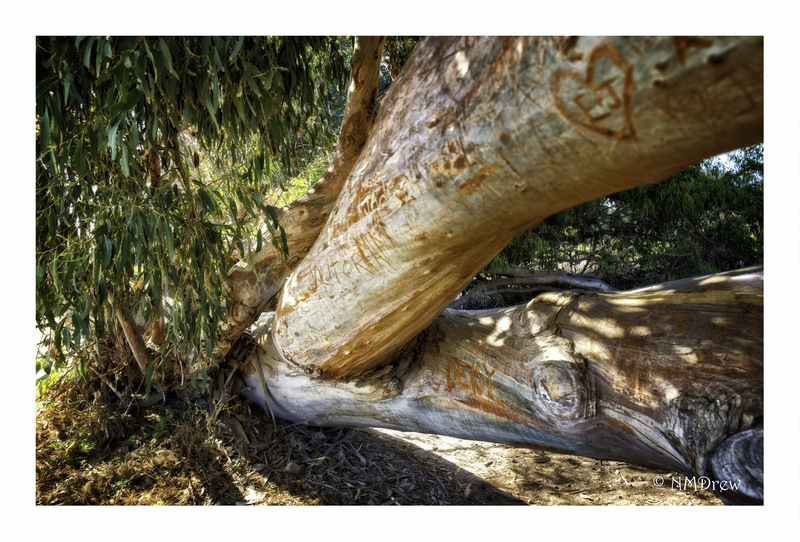 This entry was posted in Glimpses and tagged "photography", carving, eucalyptus, initials, Nikon 24-85mm f.2.8-4, Nikon Df, panorama, tree. Bookmark the permalink.